If you’re spending thousands of dollars on content each year, you have to carefully consider the return you’re getting on that investment. 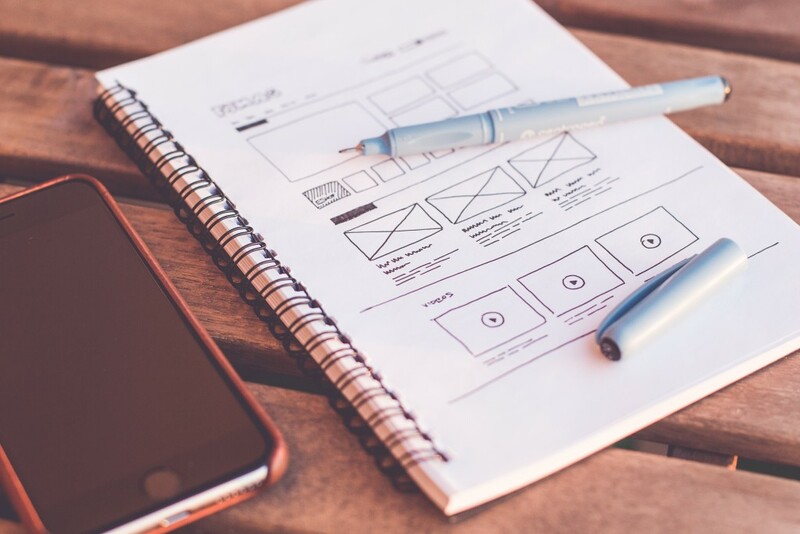 There are a number of factors that impact ROI, but one of the most frequently overlooked elements is “readability.” How easy is it for your website visitors to find and read your content? If you aren’t sure, then now’s a good time to study the issue in further detail. The idea of easily digestible content is fairly new. Flip open a Charles Dickens novel and all you’ll see is page after page of text and meaty paragraphs. Check out newspaper archives from the 1980s and you’ll see long, dense columns with as much text as possible crammed from edge to edge. You can even take a look at a website archive from the late 1990s and you’ll probably see a busy layout with dozens of elements stacked on top of one another. But if you visit your favorite website today, you’ll notice a much different story. The content is simple, easy to read, and pleasant to look at. But why? Why has the approach to creating and presenting content suddenly change? Shorter attention spans. Part of the reason marketing is trending towards digestible content has to do with the diminishing attention span of humans. In 2000, the average attention span of a human being was a measly 12 seconds. But thanks to social media (one would presume), we’re now down to an average of 8 seconds. For perspective, that’s less than the attention of a goldfish. New layout and design trends. Another major cause actually has more to do with the approach marketers and web designers are taking. The introduction of mobile devices has led to new layouts that support visuals over text. Modular grid layouts – such as this one from Design Your Life – prioritize visual consumption more than textual consumption. The result is a bigger focus on simplicity and minimalism. Overabundance of options. Finally, today’s internet users have an overabundance of options to choose from. If your content doesn’t satisfy them within a few seconds, they’ll simply find one of your competitors who will. This has caused many marketers to go back to the drawing board and focus on simplicity above all else. The fact that we’re trending towards digestible content – or, as others call it, “snackable” content – is a testament to the evolution of the internet and how it’s fundamentally changed the way people interact with content. And like it or not, there doesn’t appear to be any turning back. 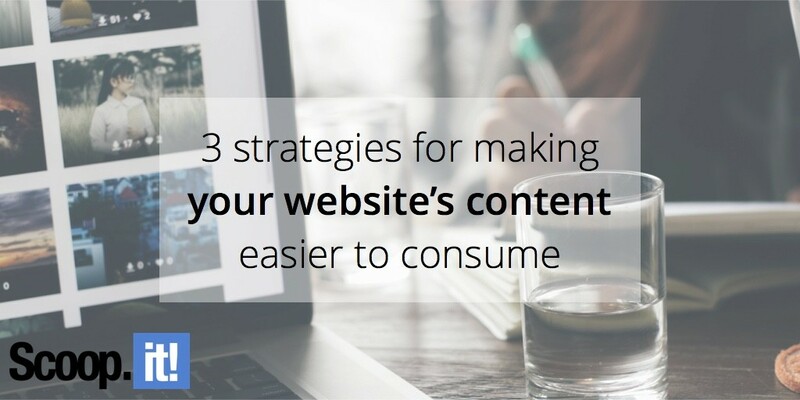 If you’re struggling to make content more snackable, then you’re probably struggling to maximize conversion rates and keep visitors on your website and landing pages. Go ahead and give the following techniques and strategies a shot. The first thing you need to do is simplify website navigation. If you want visitors to find your site’s content, you have to lead them there with simple and enticing breadcrumbs. This can be difficult if you have a lot of content indexed on your site, but there are some fairly straightforward ways to do it. Take this website for Rowdy G. Williams Law Firm as an example. You’d never know from glancing at the navigation, but the website actually has a ton of content. There are articles and resources on dozens of topics. And while different clients find the different resources important, showing them all at once would overwhelm visitors. That’s why the web design team created a simple drop down menu at the top that keeps content topically organized for easy access. If a visitor is interested in family law, all they have to do is hover their mouse over the appropriate menu item. From there, they can delve into individual topics. How is your content organized for visitors? Is it even organized at all? Providing an intuitive navigation feature on your website can dramatically alter your website’s user experience. Short attention spans mean you don’t have the luxury of developing content through the context of a funnel that slowly moves readers from awareness to action. You have just a few sentences to connect with readers, which is why it’s good practice to get straight to the point. Aside from the headline, few aspects of a blog post or other internet resource are as important as the opening paragraph. You need to present both a problem and a solution immediately. That’s the only way to get people to consistently read subsequent paragraphs. While attention spans are diminishing, SEO experts keep telling us that long-form content is the way to go. This leads to some conflict in terms of which direction to go. If you do choose to produce long-form content (anything above 1,000 words), the key is to use subheadings to break up the text and make it readable. From a content marketing perspective, the best thing you can do is meet your readers where they are. While you may prefer old school content, you can’t cram it down their throats and expect positive results. 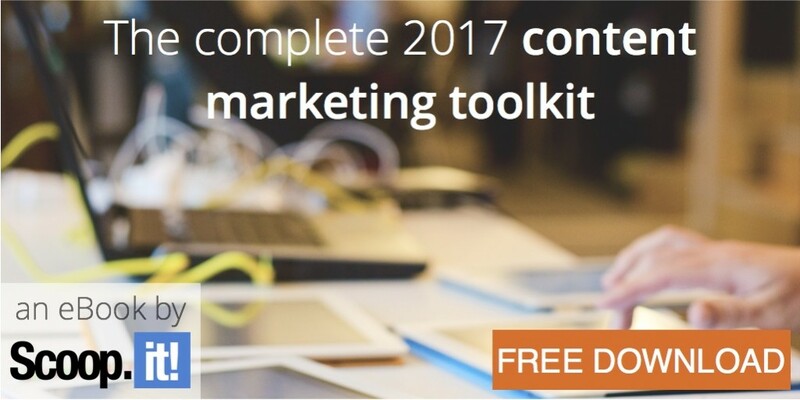 Simplicity and minimalism are the words in 2017 and it’s up to you to develop content that’s easily digestible. Make some strides this week and see what happens. Chances are, your visitors will stick around a little longer and leave a bit more satisfied.